The new year will mark the official start of recreational marijuana sales in California, and there are fears it could lead to more impaired driving. Among U.S. drivers killed in crashes who tested positive for drugs, more than a third in 2015 had used marijuana. 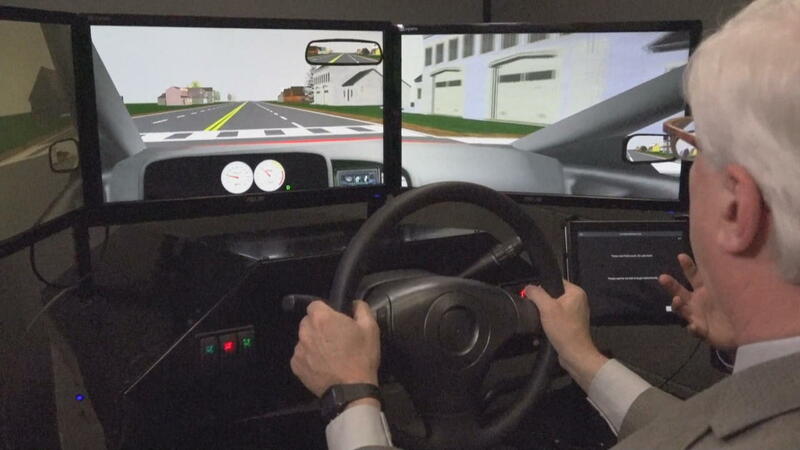 At the University of California San Diego, researchers are trying to help police detect whether a person is too high to get behind the wheel. Part of this study, we wanted to get at memory issues,” said Tom Marcotte, co-director for the university’s Center for Medicinal Cannabis Research. When you drive on Marcotte’s simulator, he’s not checking how good a driver you are – but how bad a driver you may become high on pot. “The idea of the off ramp is actually something that the police suggested to you,” CBS News correspondent Barry Petersen said. “Because in their estimation, that’s one of the areas that are most difficult for impaired drivers to handle,” Marcotte responded. The real test subjects light up, some with a real joint, others with a placebo. Then they are put through the simulator challenges like deciding whether it’s safe to drive through a yellow light. They also face a multi-tasking test: finding the right circle. It’s all designed to eventually create a tool, perhaps a tablet test, that police can use roadside to determine if someone is too stoned to drive. “The ultimate outcome is to see whether or not we can really help law enforcement separate those people who are impaired due to cannabis or those people who may have cannabis in their system and are not impaired,” Marcotte said. Unlike alcohol, there is no accepted marijuana breathalyzer. Blood tests can be inconclusive depending on when the test is taken. To make it more complicated, pot affects different people differently. “There are indications that the more experienced you are, the more tolerance you develop,” Marcotte said. “So a person who smokes a lot might actually have less effect when it comes to driving?” Petersen asked. “That’s correct. Because their body is adjusted to it, they know what to expect,” Marcotte said. California Highway Patrol’s Sgt. Glen GlaserJr. teaches officers how to recognize a driver under the influence. “How much does this end up making a kind of a judgment call, if that’s the right word?” Petersen asked. “Well, I think it very much is a judgment call because we want our officers only arresting people who are impaired,” Glaser said. While a lot of Californians are looking forward to January 1 when recreational marijuana goes on sale, Glaser and police across the state are braced. “The big scare is going to be those people who are going to try for the first time come January 1 and not knowing how it affects their body,” Glaser said. One day, the simulator may lead to an answer and help catch someone impaired by pot before getting too high gets someone hurt.